Marking tools from AMF (foreground) and cleaning tool (background), now represented in North America by Heimatec Inc.
Heimatec Inc., the North American importer of precision live tools, angle heads and multi-spindle drill heads, announces immediate availability of marking and cleaning tools from its European partner Andreas Maier, under the AMF brand. The announcement was made by the president of Heimatec Inc., Preben Hansen. 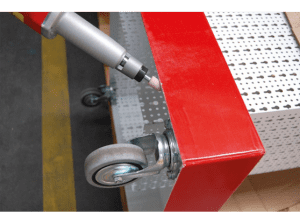 “This development brings additional products to our current customers and responds to the market needs for quality marking and cleaning tools for workpieces in CNC machining,” he observed. AMF marking tools are used for the permanent marking of workpieces made from all types of metal and thermoplastic substrates. 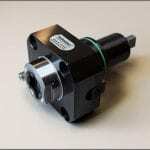 They are typically mounted in Toolholders for use in the spindle of a CNC machine tool. 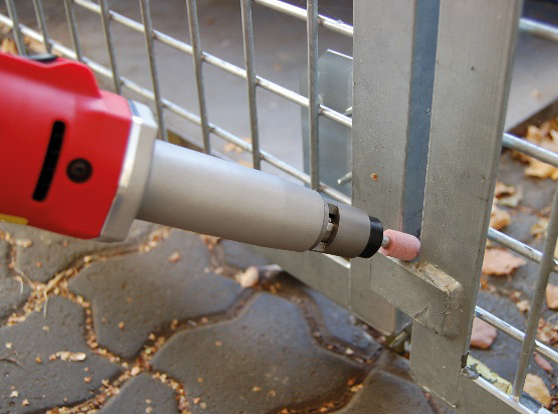 Marking surfaces is achieved by a combination process of pressure and material displacement. These tools can function with or without rotation and usually without height adjustment on the spindle, resulting in a high-speed, highly efficient marking process and no degradation of the substrate. 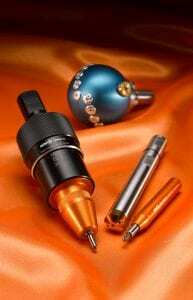 Very thin material as well as cylindrical workpieces can be easily marked, using AMF tools. Cost savings are said to be substantial, compared to conventional marking or labeling. Key design feature of the AMF marking tool is its needle, which achieves the surface marking with clarity and at high speed. AMF cleaning tools are used for the cleaning of workpieces, tooling and the interior of CNC machines. They are typically clamped in Toolholders and mounted directly onto the machine spindle. 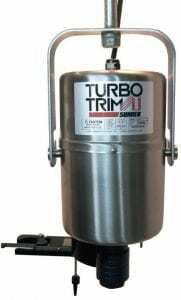 Using through spindle coolant or compressed air, the cleaning tool removes swarf and other debris from workpieces, clamping tools, rotary tables and other fixtures before the next workpiece blank is loaded. The machine spindle can remain stationary or in slow rotation mode during the cleaning process. 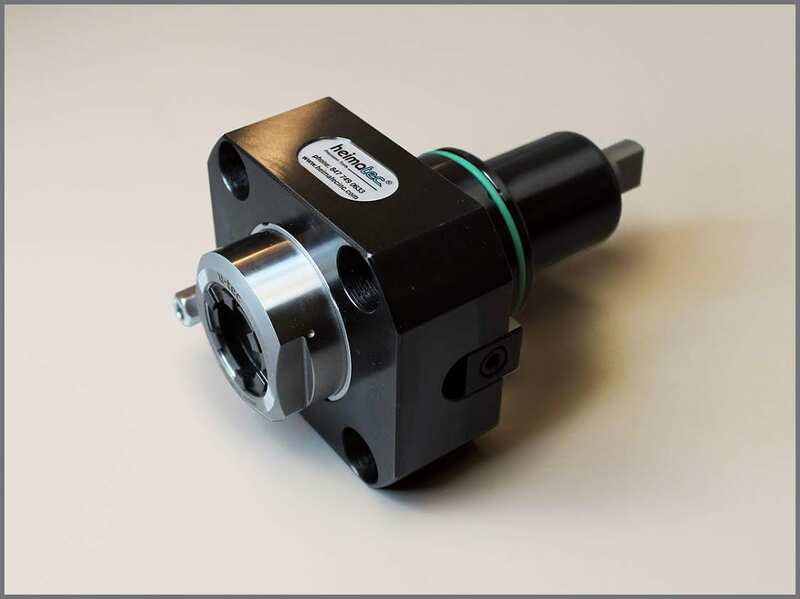 Models are available in horizontal or vertical styles to suit the machine spindle configuration and feature adjustable jet nozzles for precise cleaning and coolant or compressed air conservation. 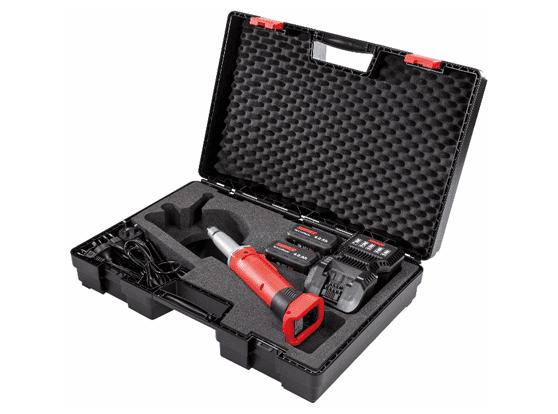 Kits can be furnished complete with tools, gauge and all fastening hardware or sold separately. These new products from Heimatec Inc. are available immediately and are described in the literature available on request or at the company website. 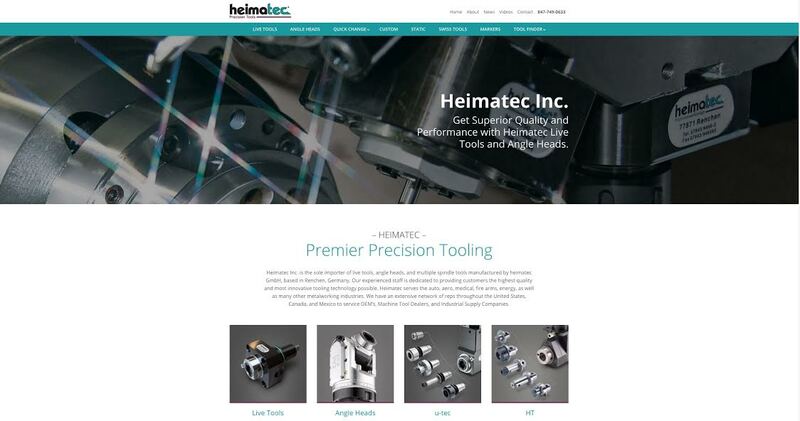 Heimatec Inc. in Prospect Heights, IL, near Chicago, serves its growing North American customer base with an extensive inventory of machine tool accessories. Its experienced staff is dedicated to providing the most innovative tooling and technology. Heimatec serves the auto, aero, medical, woodworking, composites and other industries, as well as an ever-increasing number of machine tool OEMs worldwide, through its network of manufacturers’ representatives. Heimatec, a market leader in live tooling for the North American machine tool industry, announced today that it has an extensive line of tooling available for the new Haas BMT turret. 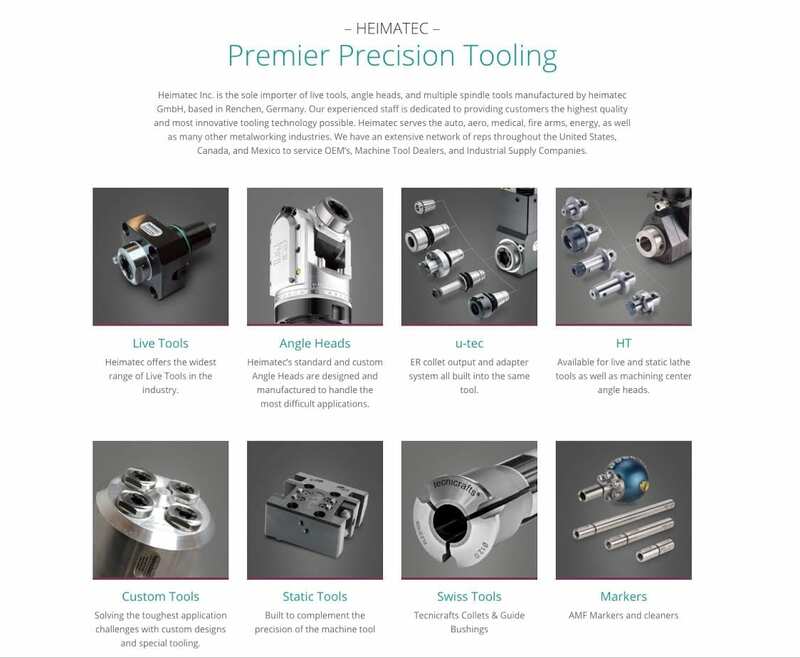 Heimatec already offers the most complete line of live tools available in the machine tool industry today, with over 40,000 designs in its database. 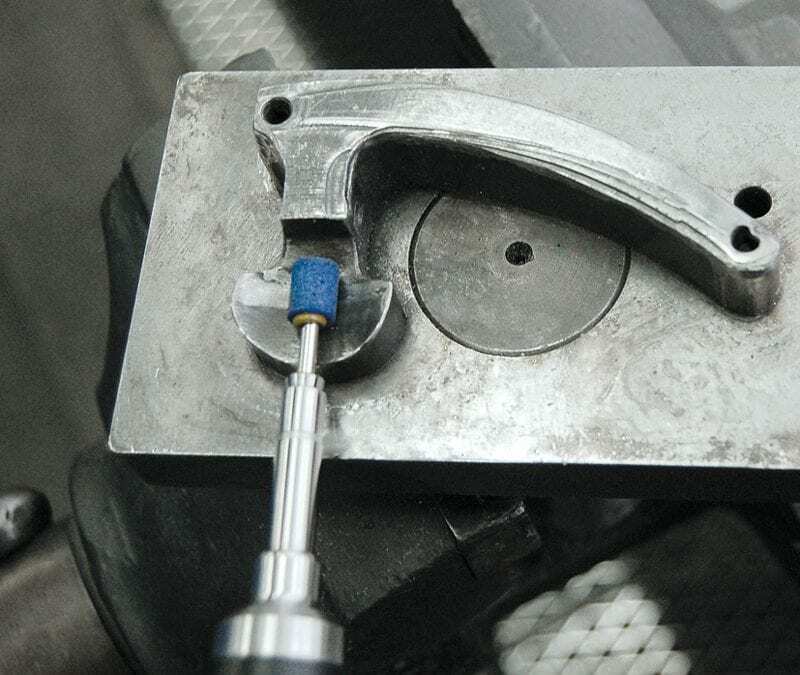 These BMT turret tools are already proven and in production allowing Heimatec to provide immediate support and the most innovative tooling technology possible. Effective immediately, Heimatec Inc., will be selling products from Tecnicrafts Industries, a manufacturer of collets and guide bushings for Swiss Type CNC Lathes. Tecnicrafts is an ISO 9001:2015 Certified company, with its manufacturing plant in South India with state of the art machine tools and 115 technicians. 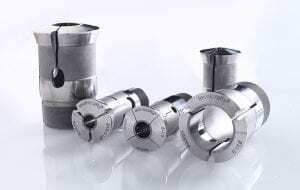 Tecnicrafts collets and guide bushings are exclusively used for Swiss Turning applications on Citizen-Cincom, Tsugami, Star, Tornos, Hanwha, Traub, Hardinge, Manurhin-Kmx, Miyano, Nomura and other popular machine brands and are widely recognized and accepted by customers in Europe and Asia. COLLETS: The collets are offered in Steel and Carbide lined versions with Grooved, Smooth, Serrated Bores in Standard and Long Nose Types. Tecnicrafts produces special collets such as V-Line, U-Line, Over-grip Collets, for positive gripping of delicate parts without marks. 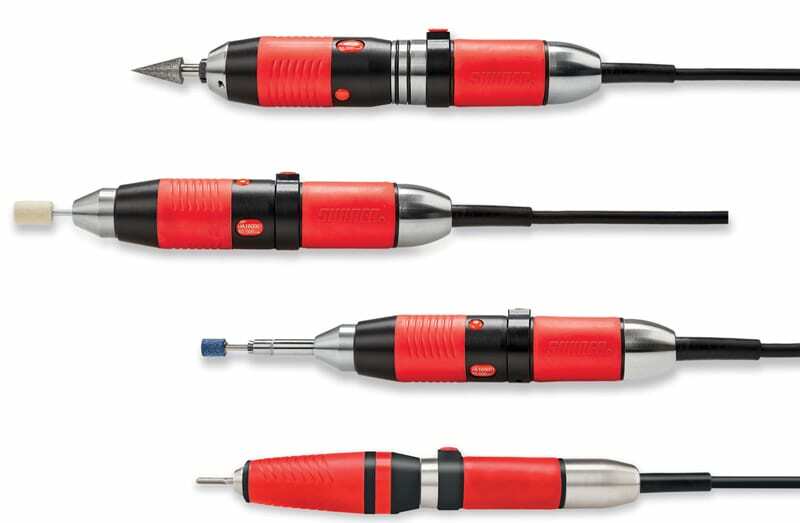 The Ultra Precision (XP) W-Type collets are available for tool grinding applications on machines like Rollomatic, Anca, Ewag and others. Other collets offered includes 5C and 16C types. GUIDE BUSHINGS: Tecnicrafts Guide Bushings are generally offered in carbide lining having Super Finish bore with roughness value of less than 0.4 micron. These special guide bushings include U-Line, Extended Nose and Long Carbide Bores (Max Land) for special turning applications. BAR FEEDER COLLETS: The Bar feeder collets are available for various bar feeders like Fedek, LNS, Ikura-seiki, Iemca, Citizen, FMB and other popular brands. All Collets and Guide Bushings are offered in Standard and Ultra-Precision grades. The bore profile includes Round, Square, Hexagon, Rectangular and Profile bores as per customer drawings. Heimatec Inc., with its expertise in precision tooling and having customer representatives throughout North America, is ready to meet the work holding tool needs for Swiss Turning applications with this new Tecnicrafts product line on its roster of quality tooling. In many technical fields, ultrafine grinding is one of the tasks that gives the product its final polish – in the truest sense of the word. This applies equally to both precision and the visual appeal. One of the leading manufacturers of professional surface treatment tools and machines for over a hundred years, SUHNER now offers an innovative grinding, milling and polishing system, SUNmic 60. The central element is an intelligent control unit with touch panel that can accept a range of micro motors and tool hand pieces depending on the application. 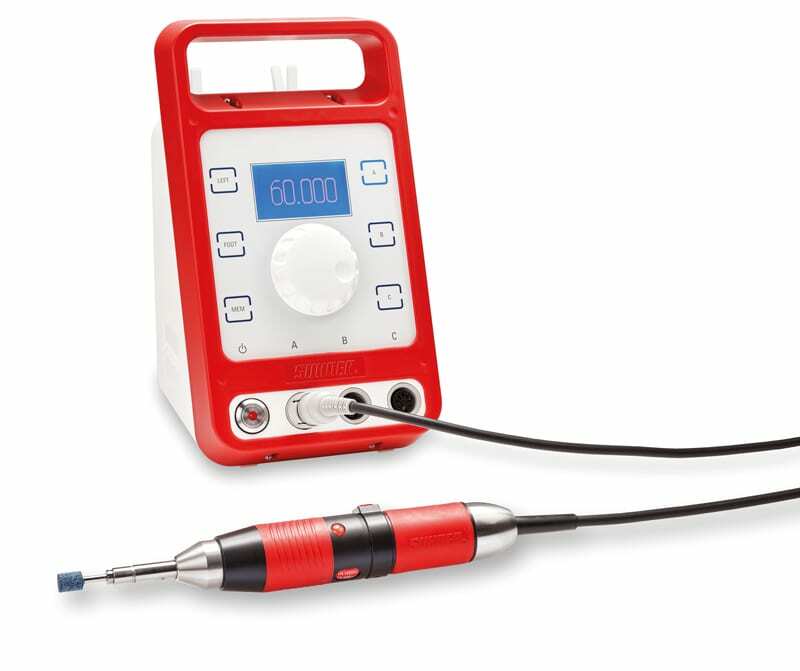 The control part has modern features such as touch screen operation on a glass display, the option to save settings and a rotation speed regulator with tangible resistance. Key settings are easily legible on a large digital display. 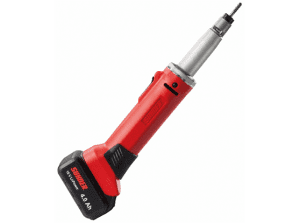 The actual tools are driven by powerful micro motors whose 280 W place a lot of power in the user’s hand. The compact, brushless BL/DC motors provide an extraordinarily wide speed range of 1000–60,000 rpm and deliver a high torque. 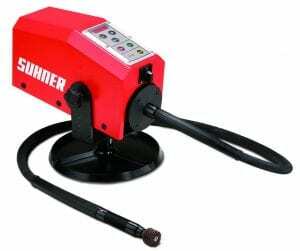 In practice, they can be compared with pneumatic technologies but do not need a compressed air supply, operate at lower energy levels and emit virtually zero noise, without exhaust air or oil mist emissions. One further benefit is that they run virtually free of vibration. The high concentricity safeguards clean and reproducible results in all areas of operation. 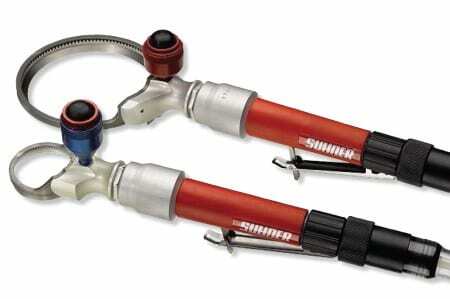 A special heavy-duty clamping system prevents the millers from shifting. 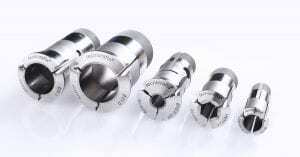 Chuck diameters range from 2.35, 3.0 and 6.0 mm to 1/8 and 1/4 inch. The new SUNmic 60 micro motor system can be connected to a 90–240 V source, and can therefore be used anywhere in the world. It offers a large number of combinations. 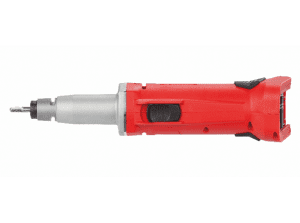 The tools range from straight, angle and filing hand pieces to belt grinders. 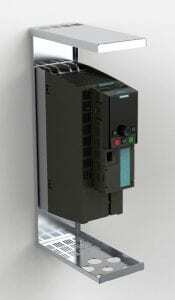 The control unit can be connected to two BL/DC motors and an AC motor. 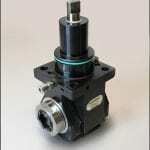 Advantage: The new control unit is compatible with available micro motors. This is a true multi-purpose tool for many applications. The new system can be used everywhere a precision finish is desired – for instance, grinding, milling, brushing and polishing in tool and mold making; in aircraft, engine and motor building; in engine tuning; and much more. 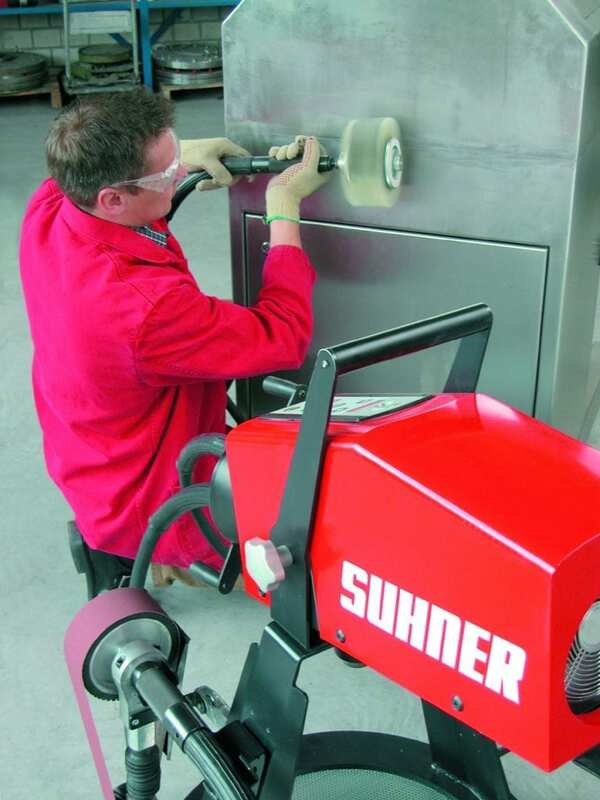 SUHNER offers a range of matching machines, tools and abrasives that have been tailored specifically to each of these applications. Also an illustrated mold making tool catalog is available. 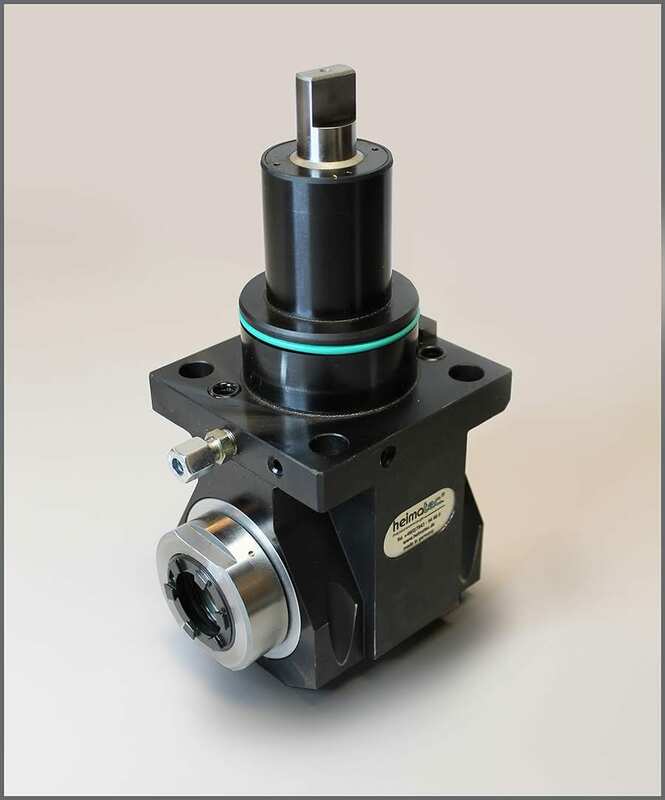 The new SUNmic 60 micro motor system has been designed for complex milling, grinding, brushing and polishing work in tool and mold making; in aircraft, engine and motor building; and similar applications. 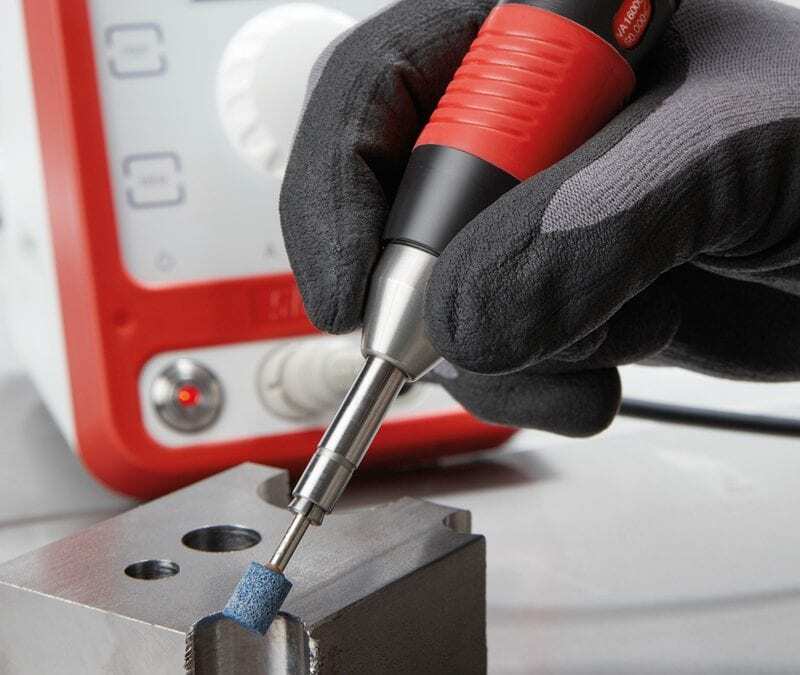 Together with the brushless BL/DC motors, the hand pieces deliver the maximum in performance. 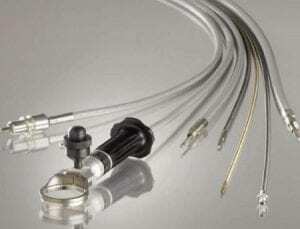 The high concentricity and low-vibration running can only benefit the final results. 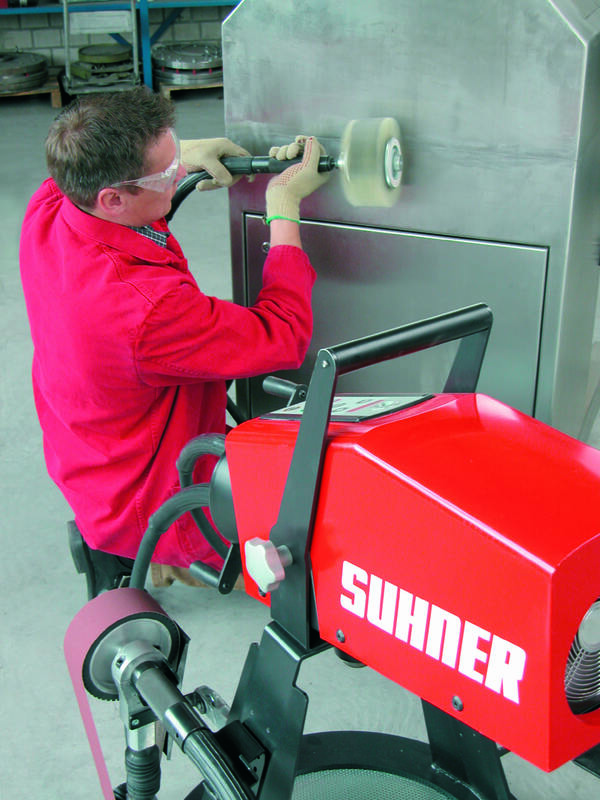 SUHNER provides demo services for field expertise. 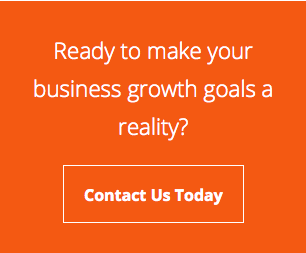 This offers interested parties expert advice, free of charge, from experienced field workers. 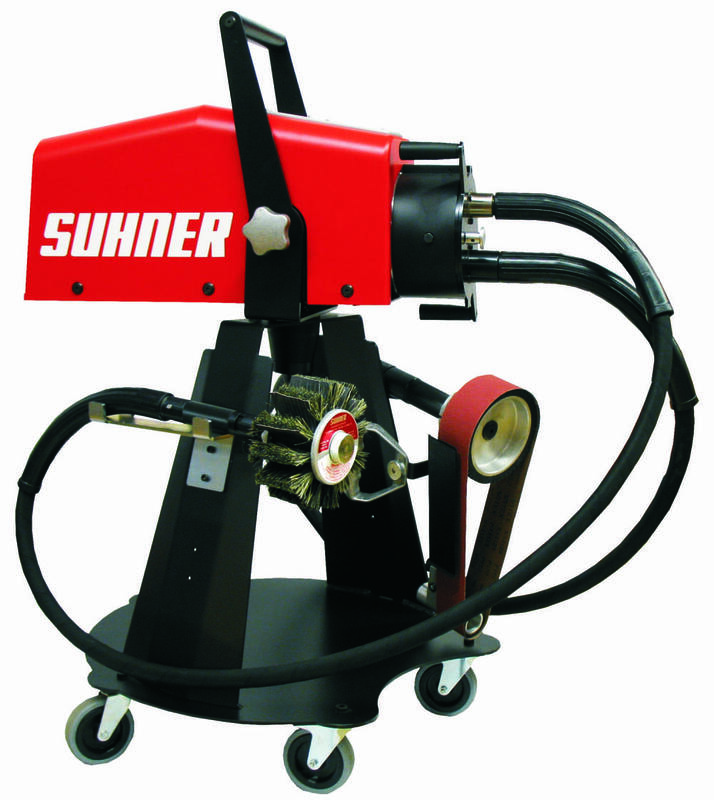 The demo services vehicle carries all the usual tools, attachments and abrasives, plus the right end to end solution can be found directly onsite based on the actual workpieces. The Chinese language is the world’s most widely spoken, dwarfing the next most popular language, Spanish, by a factor of nearly three. Beyond China, the language is spoken in Taiwan, Hong Kong, Macau and Singapore, and is present extensively in countries such as Malaysia and Indonesia, not to mention sizable Chinese communities in almost all Western economies. With this in mind, incorporating the Chinese language into tickets machines found at locations such as car parks, outdoor kiosks, railway/metro stations, betting shops and ATMs, for example, can now be facilitated with Hengstler’s eXtendo XF. To store the large GB18030 national standard master font set, which contains more than 27,000 Chinese characters, Hengstler has doubled the memory within its eXtendo XF family printers to 4 MB. In fact, both the X-56 and X-80 (the numerals represent the receipt width in millimetres) now offer larger flash and RAM. Furthermore, due to the required Unicode addressing scheme and the larger number of characters that must be stored, hardware and firmware redesigns were also implemented. A further benefit of the increased memory means that there is no longer any limitation on the size of customer font and bitmap images that can be uploaded, thus delivering greater product functionality. With the integral font manager, customers can upload any type of font desired (up to 10 fonts) using the upload tool that is included in the printer’s driver package. Font manager selects and matches all the characters of the font type as defined in the code page. It is also possible to select and/or deselect single characters. Hengstler only uses the font manager for licensed fonts but customers can use it to upload their own licensed or open source fonts. As a point of note, the expanded memory also means that Hengstler is able to service languages such as Japanese, Korean, Hebrew or any other language containing proprietary character sets. Importantly, however, to avoid burdening OEM customers that do not require special character sets with the cost of expanded memory, the basic versions remain available. 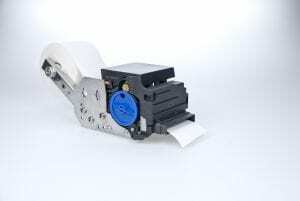 The original eXtendo family of receipt type printers has been in worldwide circulation for over a decade. The successful X-56 and X-80 models enjoy a market reputation as highly reliable direct thermal print mechanisms capable of operating in environments where there are wide variations in temperature and humidity, while further benefits include compact design, accurate cutting and an extensive feature set. The need to print and cut thick paper, handle large paper rolls and detect jams are among additional capabilities ensuring the ongoing popularity of these advanced printers.